Answer: More than 90 percent of the power to lift Colorado River water through Arizona comes from the Navajo Generating Station, a coal-fired power plant near Page. CAP will end its partnership in the Navajo Generating Station in 2044 and is looking for an alternative power source. Answer: The CAP carries and delivers water to cities, industries, agricultural irrigation districts, and Native American communities that have contracts for that water. The Central Arizona Project also stores water underground for future use. 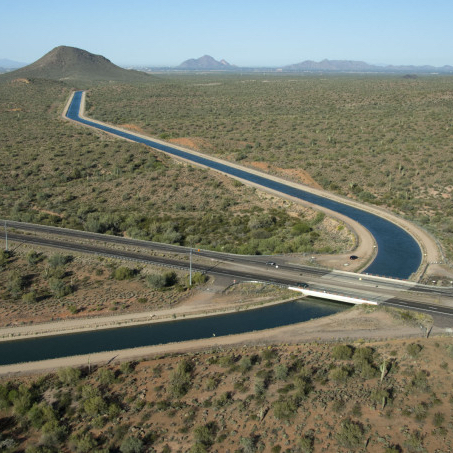 This year, the Central Arizona Project marked the 30th anniversary of its first water delivery. It was to the Harquahala Valley Irrigation District about 136 miles southeast of Lake Havasu. Question: This sounds like a big, expensive project. Did Arizona taxpayers foot the bill? Answer: The system cost the federal government about $4 billion to build. According to an agreement signed with the federal government, the Central Arizona Project is responsible for paying back $1.65 billon over 50 years. The CAP has repaid $1.16 billion of which $462 million is principal of the loan.